HomeBlogDropshipmentHow to Select Products for Dropshipping? How to Select Products for Dropshipping? 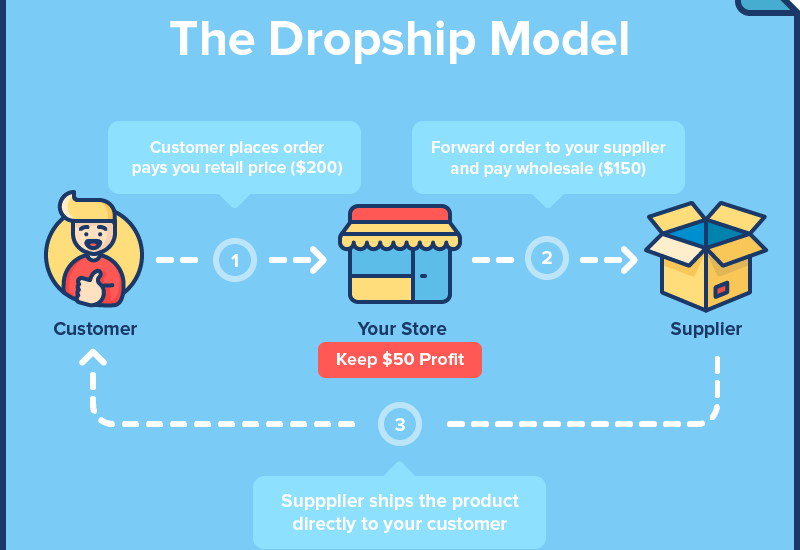 Dropshipping business model works great for up-and-coming entrepreneurs who want to test the market, invest low and understand their business strength. In typical e-commerce retail, you get the order and fulfil it from your warehouse, taking care of end-to-end operations. With drop shipping, you let the vendor take charge of order picking, packing, and shipping from his facility. The vendor panel management tool from Unicommerce helps you monitor the orders routed to the sellers, order fulfilment status, and inventory. The automation tool creates transparency and accountability in the retail operations and fosters a stronger business partnership with your vendors. Quicker delivery of orders ensures higher customer satisfaction and goodwill. Dropship business has its advantages and removes many initial snags from the e-commerce business. The challenge, however, lies in selecting the products that you want to deliver through dropship route. For example, fragile and lesser shelf life products are best suited to be dropshipped. Similarly, you should also know what kind of products sell well on an e-commerce dropshipment platform; that needs elaborate analysis and understanding of the market you plan to cater to. Buyers tend to research heavily from online and offline sources before buying a costly product. It would not be wise to source an expensive product for dropshipping. As pointed out above, shoppers are cautious when they are buying expensive products and research thoroughly for quality, price, availability etc. The more time the buyer invests in researching, the lesser he is inclined to buy on impulse. Hence, it is better to have simple to relate products for dropshipping that drives an impulsive purchase. An impulsive purchase happens only for inexpensive, unique and attractive products. Such products help convert a casual visitor into a buyer. Such uncommon products make it tougher for the consumers to assess their price. Your shoppers will be more than willing to buy a novel product that is uniquely priced. Make sure not to charge too high for the product’s uniqueness. It’s the product appeal that stirs the customer interest to place an order; the expensiveness may most likely put him off. Source the ideas from online publications, communities, social media groups etc. Most often than not, you will get to know what is trendy currently and what kind of products are catching the attention of active net surfers through these channels. Since the group hanging out here are the potential buyers and influencers in the online space, you will get the pulse of the market by keeping an eye on their interactions. However, the thumb rule is, the product must serve the specific purpose of the buyer. Unless there is an ascertained utility of the product, it may fail to entice the customer for purchase.